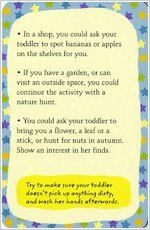 Keeping tiny tots entertained can be hard work – but with these creative play ideas, you’ll have as much fun as they will! 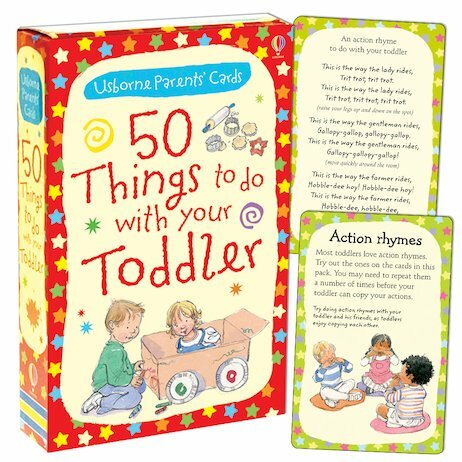 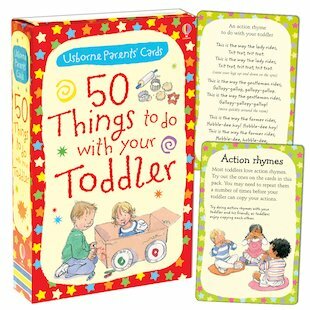 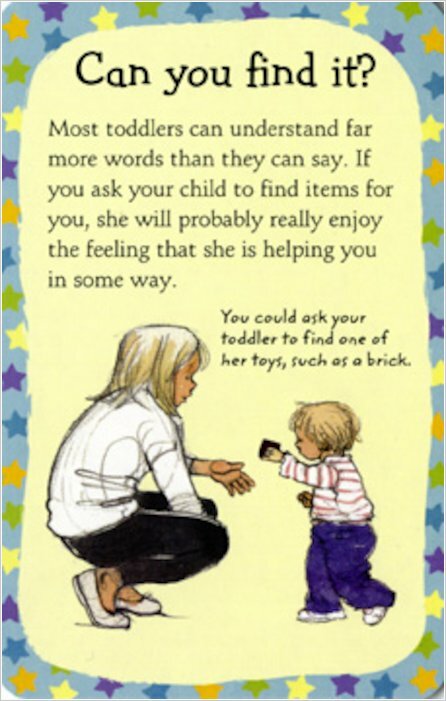 This box contains fifty simple activities printed onto chunky cards, including games, songs and action rhymes which encourage learning through play. 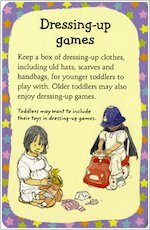 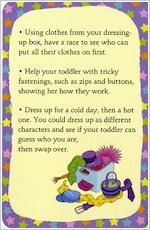 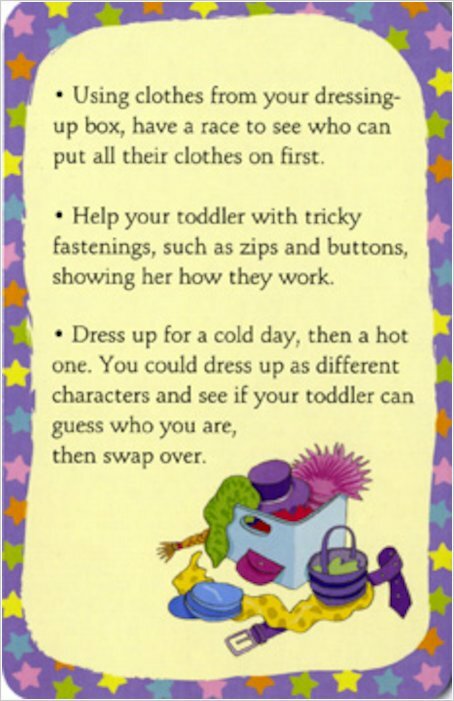 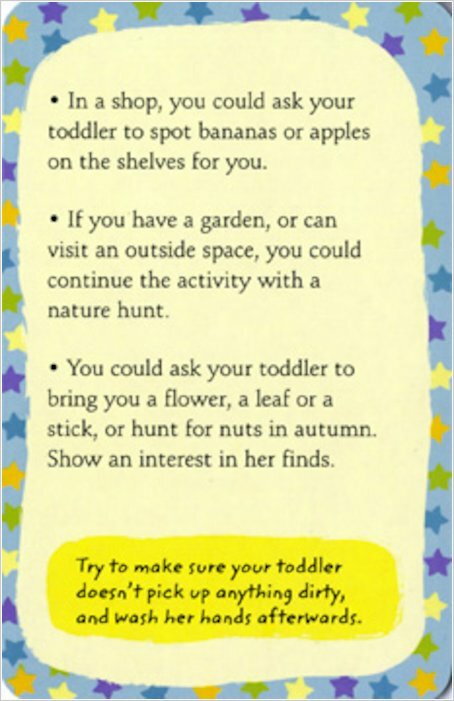 From dressing-up games to drawing and building secret dens, each activity helps toddlers to learn new skills and explore the world around them – all while having lots of fun!